Nikwax Leather Cleaner™ is a highly effective cleaner which has been specifically designed and optimised for breathable leather gear. It is a safe product to use on breathable waterproof leather gear as it does not leave water-attracting (hydrophilic) residues, which lead to leather absorbing water and ‘wetting-out’. 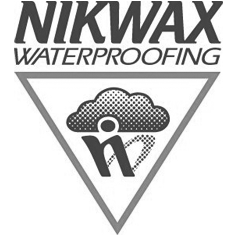 Nikwax Leather Cleaner™ removes water absorbent dirt and stains picked up during use; this revitalises Durable Water Repellency (DWR) and causes water to bead on the outer surface once more. Regular cleaning with Nikwax Leather Cleaner™ will revitalise existing DWR and revive breathability, keeping your leather gear in top condition.